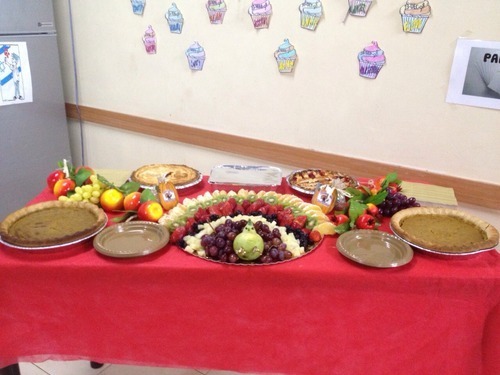 AMHSI students had a chance to celebrate traditional Thanksgiving at their Israeli home away from home. AMHSI fall semester student, Shlomi Efergan, invited his American mom, Wendy, to help his fellow students feel the Thanksgiving spirit. She helped prepare a traditional home-cooked Thanksgiving meal and brought it to AMHSI students a day before the actually Thanksgiving dinner took place in the United States. Shlomi and his mom, Wendy, at the Thanksgiving table. 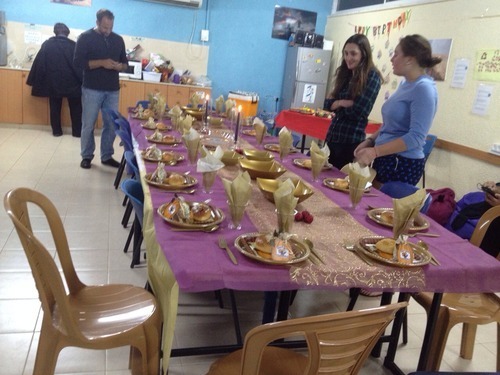 The night of the actual Thanksgiving, the students celebrated in the Bedouin tents! 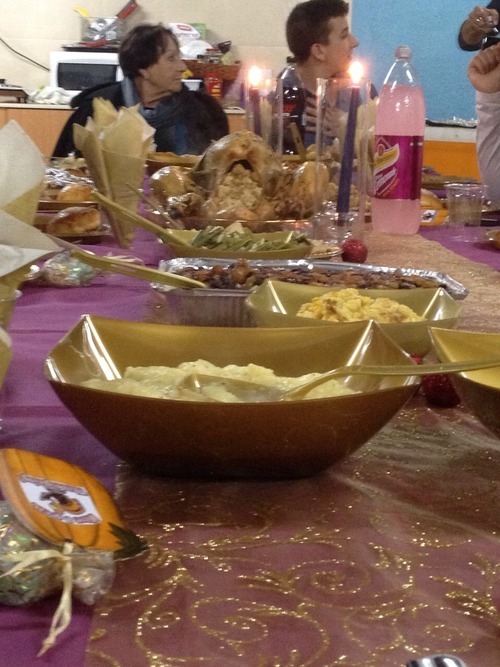 There was a feast of traditional Bedouin foods shared with Israel’s own nomadic indigenous people. AMHSI fall semester continued to a week of Gadna – a taste of the basic training in the Israeli Defense Forces.